The United States and Mexico have reached an agreement on a framework for a revised North American Free Trade Agreement (NAFTA), although President Trump said that it will not be called NAFTA, which he said has “bad connotations.”1 The new deal is bilateral as Canada, the third member of NAFTA, has not been involved in the talks that led to this agreement. Mexican President Nieto said that Canada will be brought into the deal, but President Trump said “We’ll see” when asked if Canada would join. In any event, Canada will be immediately invited to discuss the agreement with the hope that a three-way deal can be reached. Not many specifics have been offered, but we do know that the two sides have agreed to boost the regional content requirement for automobiles from 62.5 percent to 75 percent2 (The United States had initially sought 85 percent.). In addition, they have agreed that 40 percent of a car’s value must come from locations where workers are paid at least US$16 per hour. Although Canada has not been involved in the talks, it might be amenable to these terms. However, the United States had sought a sunset clause that would require renegotiation of NAFTA after five years. Mexico and Canada both oppose this. It is not yet clear how the new deal addresses this issue. Nor is it clear how the deal addresses the energy sector, long a source of contention. US automotive companies are said to be comfortable with the terms agreed so far.3 However, foreign automotive companies that assemble in the United States are more wary. There will also be provisions meant to take account of changes to technology over the 25 years since the first NAFTA deal was signed. This means addressing electronic commerce among other things. The two sides hope to bring Canada in quickly so that President Trump can submit the deal to the US Congress for a 90-day review. If that happens, Mexican President Nieto can also sign the deal before he leaves office. There remain two additional unknowns. First, will the next Mexican president agree to the provisions in the new deal? Second, will the US Congress go along with the new deal? If a deal is not finalized before the end of the year, it will face review by the next US Congress, which could switch from Republican to Democratic control. Is the deal a win or a loss? Politically, it is likely a win for both the United States and Mexico. For President Trump, it gives the opportunity to say that he successfully negotiated a revision to what he called the worst deal in history. For President Nieto, he can claim that he saved NAFTA from oblivion. Yet from an economic standpoint, it could potentially be a loss. It will mean more restrictions on trade, more restrictions on the structure of supply chains, and higher costs of production. That, in turn, would likely mean higher prices for consumers. One good barometer of progress is the value of the Mexican peso. It has been appreciating at a time when most emerging market currencies have been declining in value.4 This likely reflected investor sentiment that NAFTA is less at risk than previously. When investors have been pessimistic about the future of NAFTA, the peso has fallen sharply. Following the announcement of the bilateral agreement, equity prices in all three countries rose. Because of the large volume of goods on which tariffs might be imposed, the next round of US tariffs on China will likely involve a wide array of consumer goods. For many of the products involved, there is no US-based manufacturing capacity. Thus, sellers will likely pass the cost of the tariffs onto their customers, meaning big increases in consumer prices in the United States. This could have a dampening effect on the growth of US consumer spending. In addition, China’ government has pledged to retaliate against new US tariffs,7 thus likely limiting US exports to China. Meanwhile, there is a growing war of words about the exchange rate between the US dollar and the Chinese renminbi. President Trump suggested that China is manipulating it currency, intentionally pushing down the value of the renminbi in order to offset the impact of tariffs.8 However, a senior official of the People’s Bank of China (PBOC) insists otherwise. He said, “We’d like to stress that [the exchange rate] is market driven. We won’t use policy to devalue the yuan and we won’t use the exchange rate as a weapon to react to external pressures from trade conflicts.”9 The renminbi has fallen lately, but relatively modestly compared to other major emerging market currencies. Moreover, over the past three years, the PBOC has sold a considerable volume of foreign currency reserves in order to prevent the renminbi from depreciating sharply. The prospect of further depreciation is one reason why the US side has vetted the idea of boosting the next round of tariffs from 10 percent to 25 percent. The Venezuelan economy is collapsing, despite the fact that Venezuela has the largest oil reserves in the world.10 Inflation is now running at an annual rate of 80,000 percent, the highest ever recorded in Latin America, and the International Monetary Fund (IMF) says it could reach 1,000,000 percent by the end of the year; real GDP has fallen by half in the last five years; oil production has fallen to a decade low and the state-run oil company is in bankruptcy; the country’s foreign currency reserves have fallen to a pittance; the country has a large external debt that it can barely service; and it is estimated that as much as 7 percent of the population has left the country, including many skilled and educated workers. In response to the announcement, opposition leaders called for a strike, but it is not yet clear if workers intend to abide by this call. Meanwhile, international investors appear not convinced that things will get better. Investors would like to see a debt restructuring combined with significant reforms. But unless there is clear evidence of a change in direction, it is unlikely that investors will be amenable to refinancing Venezuela’s debts at a reasonable cost. Greece is finally exiting the bailout. There were three bailouts from 2010 to 2015 encompassing 289 billion euros.13 The distribution of bailout funds is coming to an end and Greece appears to be able to survive on its own. Greece will continue to service the debts incurred as part of the bailout, but will not obtain any new official support. The economy is growing, inflation is in positive territory, the value of non-performing loans in the banking system has dropped, and unemployment is declining. Moreover, for the past few years Greece has been running a large primary budget surplus. This is the budget balance after interest payments are excluded. A primary surplus implies that the debt/gross domestic product (GDP) ratio is declining. Greek exports are growing, likely enabling the country to obtain the funds needed to service external debts. Although Greece does not have its own currency, the drop in wages in the past decade had effectively the same impact as a currency depreciation. However, a large share of exports are refined petroleum products, which are vulnerable to price volatility. Despite all of this good news, troubles remain. Although the economy is now growing, real GDP remains about 25 percent below the peak reached in 2007, before the global crisis.14 For other Eurozone countries that went through the debt crisis, the situation is far better. Real GDP in Spain is higher than prior to the crisis and, in Italy, real GDP is only slightly below the peak. Thus, Greece, the country where the crisis began, has suffered far more than its peers. In addition, although the volume of non-performing loans is down, such loans still represent about 40 percent of Greek bank loans.15 This is an inhibiting factor for credit growth and, consequently, investment—something sorely needed for economic growth to be sustained. The high level of non-performing loans reflects the inability of many Greeks to service their home mortgages. With house prices down 40 percent since 2007,16 it is not possible for many households to get out from under their mortgage debt. One way that Greece has achieved a degree of fiscal rectitude is through very high taxes on labor. This has contributed to the decline in consumer spending power and has fueled Greece’s brain drain in which over 400,000 educated Greeks have departed since the crisis began.17 Yet an unusually low share of the population is participating in the labor force while a large share is dependent on government pensions. Markit released its flash estimates for the purchasing managers’ indices (PMIs) for both manufacturing and services in the United States, the Eurozone, and Japan. The PMI is a forward-looking indicator meant to signal the direction of economic activity. It is based on sub-indices such as output, new orders, export orders, employment, input and output pricing, inventories, and sentiment. A reading above 50.0 indicates growing activity; the higher the number, the faster the growth—and vice versa. The latest PMIs for the United States suggest some deceleration in US economic activity. The PMI for manufacturing fell from 55.3 in July to 54.5 in August, a nine-month low.19 The PMI for the broad services industry fell from 56.0 in July to 55.2 in August, a four-month low. Markit reports that there was a deceleration in the growth of output, new orders, and employment, and that capacity constraints eased in August. It also reported that inflationary pressures abated somewhat, despite the fact that import tariffs on steel had an onerous impact on costs for some manufacturers. Markit said that the August PMIs were “indicative of the economy growing at an annualized rate of roughly 2.5%, down from a 3.0% indicated rate in July.” It added that “some of the slowdown can be attributed to supply shortages—jobs growth in manufacturing and services is being restricted by a lack of available workers, while factories are also constrained by a lack of raw materials, sometimes blamed on ‘panic buying’ of safety stocks as well as a lack of transportation to ship goods around.” Thus, the economy appears to be growing at capacity. This implies that the stimulus embedded in the government’s expansionary fiscal policy will not necessarily succeed in boosting growth for very long. Rather, it will ultimately create more inflationary pressures. This is already evident in the accelerated inflation reported by the government.20 And that, in turn, will likely lead the Federal Reserve to continue to tighten monetary policy. Markit’s flash PMI for Japanese manufacturing continued to indicate modest growth of activity—the PMI increased from 52.3 in July to 52.5 in August.22 Markit stated that although output and new orders accelerated in August, new export orders actually declined for the third consecutive month. It noted that “weaker international sales weighed on business confidence, with panelists citing potential trade conflicts as a key risk to their outlook.” In addition, employment decelerated. Interestingly, the increase in the PMI was entirely due to improvements in domestic demand rather than export demand. Germany is set to have the largest current account surplus ever. The Ifo Institute estimates that, in 2018, Germany’s current account surplus (which is mainly the trade surplus) will reach US$300 billion, or 7.8 percent of GDP.23 The large size of the surplus has been a sore point for the United States, which complains that trade restrictions have prevented Germans and other Europeans from purchasing more goods from the United States.24 The United States has the world’s largest current account deficit, at more than US$400 billion. Yet Germany’s surplus is not due to trade restrictions. Rather, it is due to the fact that Germany is a high-saving nation and saves far more than it invests. In part, this is reflected in the government budget surplus. It would indeed benefit the rest of the world if Germany were to cut taxes or boost government spending in order to stimulate demand for imports, thereby reducing the current account surplus. Yet it is not the United States that would be the main beneficiary. After all, the US economy is already at full employment and can hardly boost exports to Germany in a hurry without fueling more inflation. Instead, stronger German demand would mainly benefit other countries within the European Union (EU) that currently have high rates of unemployment. These include Italy, Spain, and France. This is why the EU and IMF have long been urging Germany to boost demand. Yet within Germany, there appears to be broad support for fiscal conservatism, including adherence to the constitutional requirement for a balanced budget. Critics say that the German industry has artificially held down wages, thus boosting the competitiveness of exports while limiting domestic demand. They urge that Germany take steps to boost wages in order to fuel greater consumer demand. While buying time, the many measures taken so far do not fully address the fundamental problems that Turkey faces. The country has a large external deficit, the likely result of a long period of easy monetary and fiscal policy that boosted demand, thereby fueling strong growth of imports. The external deficit, which fills the difference between output and demand, has been funded largely by short-term debt. Turkish companies, which have a relatively low level of debt as a share of gross domestic product (GDP) compared to other emerging countries, have borrowed an unusually large amount from foreigners, mostly in foreign currency.27 Moreover, a very large share of that debt has a maturity of less than one year.28 As the lira falls in value and as interest rates rise, these companies will probably have increasing difficulty servicing their debts. Ordinarily, when a country faces this set of circumstances, it takes steps to reign in the availability of credit and reduce the growth of demand. It does this through a tightening of monetary and fiscal policy. In the case of Turkey, this has not taken place. Not only does Turkey have a large external deficit, it also has a large government budget deficit, the result of an easy fiscal policy. In addition, Turkey’s government has pressured its central bank not to raise interest rates. Thus, the government has failed to reduce the demand for foreign currency; it has also failed to instill investor confidence. Consequently, the currency of Turkey has fallen in value far faster than that of any other major emerging country.29 The drop in the currency has boosted import prices and fueled very high inflation. And, bond yields have soared to twice that of neighboring Greece. Another problem is that Turkey’s relations with the United States have suffered due to the continued detainment of an American pastor. Turkey appears to want to swap the pastor for a Turkish cleric living in the United States. The US response to this situation, which was to double tariffs on steel imports and impose sanctions, precipitated the latest crisis by fueling a massive single-day drop in the lira. Then again, the decision by the United States to wage a continuing war of words with Turkey has handed President Erdogan a useful foil. He now makes the claim that Turkey’s problems are not of his making but, rather, are due to the United States. What happens next? Turkey has limited options. It appears unwilling to take major steps to ease the crisis through monetary and fiscal policy tightening. So, it seems likely that Turkey will ultimately need help from outside. The least favorable option politically is to seek help from the International Monetary Fund (IMF), something Turkey did just prior to Erdogan’s accession to power early in this century. An IMF program would likely entail strict conditionality, including a sharp reduction in government spending and a tightening of monetary policy. Another option is to get help from other countries. Turkey seems to have a good relationship with Qatar. Indeed, President Erdogan met last week with the leader of Qatar that has a US$300 billion sovereign wealth fund.30 Yet despite Qatar’s wealth, it may not be willing to devote a very large share of its assets to Turkey. Another option is to break relations with Qatar, and seek help from Saudi Arabia, a country with deeper pockets. Or Turkey could seek help from Russia, a country that would be happy to further divide Turkey from its allies in the North Atlantic Treaty Organization. Yet Russia hardly has deep pockets. China does have deep pockets, but it is hard to see what Chinese interest would be served by helping Turkey. Then, there is the European Union (EU) with which Turkey currently has a deal to limit the flow of migrants from Syria to Europe in exchange for cash.31 Turkey could seek to renegotiate the deal. It has some leverage. After all, it could threaten to open the faucet and allow a massive flow of migrants into Europe. And the EU has an interest in preventing a meltdown in Turkey, partly because of the considerable exposure of some European banks to Turkish debt. For example, the claims of Spanish banks on Turkey amount to roughly 5 percent of Spain’s GDP.32 A further precipitous drop in the value of the lira could unleash a torrent of defaults on external debts, thus putting some European banks at risk. Still, it seems that the most likely outcome will be an IMF bailout. Meanwhile, although the lira has rebounded modestly, the cost of insuring Turkish debt from default is, along with that of Argentina, the highest in the world among major emerging markets.33 Also among major emerging markets, Turkey’s foreign debt as a share of GDP is relatively high. This reflects many years in which Turkish companies were encouraged, or at least permitted, to borrow overseas with abandon. Now the country is paying the price for profligacy. Yet that price is being likely exacerbated by political tensions with the United States. Also, other emerging markets have seen their currencies battered.34 This reflects the impact of a rising US dollar, rising borrowing costs in the United States, and the contagion effect of Turkey’s troubles. The crisis in Turkey has alerted investors to the risks that are inherent in assets in other emerging countries. Investors are likely to be especially concerned with countries that have large external borrowing requirements, reliance on short-term funding, and overvalued currencies. These include Egypt, South Africa, Indonesia, and Colombia, according to the Institute of International Finance. It is notable that, since May, the prices of many commodities have fallen sharply.35 This includes some metals such as copper and some agricultural products such as soybean. Even the price of oil has declined, albeit moderately. Broad indices of commodity prices are down as well. What is happening? There are several possible explanations. First, most commodities are priced in US dollars. The dollar has risen sharply in the past few months. This is due to expectations of a further tightening of US monetary policy, the impact of an expansive US fiscal policy that is boosting the supply of US Treasury securities, and the burgeoning trade war between the United States and other countries. When the dollar rises, it means that commodity buyers outside the United States must pay more for commodities. This rise in non-US prices reduces demand, thus putting potential downward pressure on the dollar price of commodities. Third, many investors are likely concerned about interest rate normalization in the United States and Europe, not only because of the potential impact on economic activity, but also because of the impact on the cost of financing investments that entail the use of commodities. Higher interest rates and a strong US dollar have already pummeled equity prices in emerging markets,37 boding poorly for investment in those locations. Fourth, many investors are especially concerned about the evident deceleration of the Chinese economy. This is of particular importance given that fixed asset investment constitutes an unusually large share of economic activity in China and has lately decelerated sharply. Moreover, Chinese purchases of metal commodities have played an outsized role in global demand and have driven trends in the industry for the past two decades. Thus, a Chinese investment slowdown can have a big impact on commodity demand. Finally, the situation in Turkey might be influencing commodity prices. This could involve investor fear that the Turkish situation could lead to contagion in other emerging markets. Just the Turkish situation alone might be worrisome to investors, given that many large European banks are heavily exposed to Turkey. The problem with declining commodity prices is that, combined with declining currency values, they put enormous pressure on many emerging markets that are dependent on commodity exports. As revenues fall, and as debt-servicing costs rise, the risk of financial stress grows. One exception is India, an emerging country that is a net commodity importer. It stands to benefit from a drop in commodity prices. The latest batch of economic data from the Chinese government39 indicates a deceleration in economic activity. Here are some details. Fixed asset investment in the first seven months of the year was up 5.5 percent from a year earlier, the slowest rate of growth since recordkeeping began in 1996. This was largely due to slow growth of public sector investment, up only 1.5 percent from a year earlier. This reflected, in part, an 11.6 percent decline in investment by public utilities. At the same time, private sector investment rose 8.8 percent, with investment by manufacturers up a strong 7.3 percent. The latter could ultimately be negatively influenced in the months ahead, depending on the evolution of the burgeoning trade war. The government has lately taken many steps to stimulate investment in order to offset the potentially negative influence of the trade dispute. Evidently, this has not yet had the intended effect. Still, the government’s decision to ease credit-market conditions is reflected in the 13.2 percent increase in yuan loans by banks in July versus a year earlier. This is the fastest rate of increase since January. Over time, this should boost investment spending as well as housing activity. Industrial production in China was up 6.0 percent in July versus a year earlier. This was the slowest rate of growth since March. Output by utilities was up a strong 9.0 percent, while output by manufacturers was up a more modest up 6.2 percent. Retail sales in China grew 8.8 percent in July versus a year earlier, a relatively slow rate of growth compared to recent years. Sales of big-ticket items did poorly. Automotive sales were down 2.0 percent from a year earlier, while sales of home appliances were up only 0.6 percent. At the same time, sales of telecom equipment were up 9.6 percent, while sales of clothing were up 8.7 percent. Meanwhile, China’s government has ordered local governments to stop accumulating non-transparent, or “hidden,” debts.40 This is part of an effort to take control of China’s burgeoning debt, a potentially serious problem. Moreover, Beijing requested that local governments provide to the central government a full accounting of “hidden local government debt” and follow up with plans to reduce that debt. Evidently, Beijing is concerned that it does not have a transparent view of the size of the problem. The so-called “hidden debts” represent such things as credit guarantees for off-balance sheet financing vehicles and debts issued by local state-owned enterprises. Rather, Beijing is now encouraging local governments to directly issue bonds for the purpose of infrastructure funding, thus allowing a greater degree of transparency. It has been estimated that the “hidden debts” actually exceed the volume of bonds that have been issued by local governments. Indeed, two major ratings agencies have drawn attention to the problem and offered this as a reason to downgrade debt issued by the central government in Beijing. Evidently, the ratings agencies are concerned that problems for local governments could ultimately have to be addressed by Beijing. If so, the implicit debt of the central government is much bigger than its reported debt. US President Trump threatened to double US tariffs on imports of Turkish steel and aluminum.41 His reasoning was that the recent sharp drop in the value of the Turkish lira had given Turkish exports a competitive boost. Moreover, the US continues to urge Turkey to release an American pastor who is being held by the Turkish government. Trump said that “our relations with Turkey are not good at this time.” For Turkey, this action is of significance given that the United States is the largest export market for Turkish steel. Many investors reacted swiftly, driving the Turkish lira down as much as 18 percent in one day, although by the end of the trading day on Friday, it was down about 12 percent. Turkish bond yields rose and equity prices fell. Moreover, the currencies of other emerging markets fell sharply as many investors evidently feared a larger crisis. There were big declines in the values of the Mexican peso, the Brazilian real, and the Russian ruble.42 Meanwhile Turkish President Erdogan pledged that Turkey would not lose the “economic war.” He urged Turkish citizens to sell their dollars, euros, and gold and convert them into Turkish lira. He said that “they have their dollars, but we have our people, our righteousness, and our God.”43 This was seen by investors as indicating no intention of shifting policy, at least not yet. Many investors have been hoping that Turkey will tighten monetary policy in order to stabilize the currency and combat ruinous inflation. Indeed, the finance minister gave a speech on Friday to business leaders that had been hailed as providing a roadmap to financial stabilization. He said that the government will focus on fiscal discipline, lower inflation, and a lower external deficit.44 He pledged to honor the independence of the central bank. However, he provided few details beyond general statements, a likely disappointment to investors who reacted accordingly, driving down the lira as the minister spoke. The value of the Turkish lira has fallen by more than 40 percent against the US dollar since the start of this year.45 And Turkish equity prices are down considerably during this period. What went wrong? Turkey has potentially three problems. First, the economy is overheated and is highly dependent on inflows of foreign portfolio capital to cover the difference between consumption and output. This has led to high inflation (now close to 16 percent) and downward pressure on the currency.46 Second, Turkey’s government refuses to acknowledge the traditional link between interest rates and inflation. It claims, erroneously, that Turkey’s high inflation is due to high interest rates and that, consequently, the solution is to avoid tightening monetary policy. This has shaken the confidence of many investors and contributed to the downward movement of the currency and the upward movement of bond yields. Third, Turkey is in the midst of a political spat with the United States that has resulted in new US sanctions on Turkey, something many investors likely view as problematic. Thus, the lira fell sharply in the days after the new sanctions were announced. What happens next? The political issue is the most easily resolved. The United States is demanding the release of a pastor, that a Turkish bank stop doing business with Iran, and that Turkey not purchase weapons from Russia.47 The imposition of new tariffs is likely meant to pressure Turkey on these issues. The other issues, however, are likely more difficult to resolve. The government has lost the confidence it once had within the investment community due to its unconventional views about monetary policy. A dramatic reversal would be welcomed by investors, but appears to be unlikely for now. Meanwhile, one of the best ways to deal with Turkey’s structural issues would indeed be a reversal of monetary and fiscal policy. However, in the absence of a dramatic reversal in policy, there is a risk of the lira plunging further, creating serious problems for Turkey’s financial sector. Turks hold a large volume of debt denominated in US dollars. Depreciation of the lira will hurt the ability to service that debt. Indeed, the cost of insuring Turkish debt has increased dramatically in recent weeks.48 Investors are concerned about the potential health of Turkish banks. Also, rapid depreciation cannot go on indefinitely. Eventually bond yields would rise sufficiently to halt the economic expansion and to stabilize the currency. But the cost would be an economic downturn, and possibly political and social unrest. Moreover, in a crisis situation Turkey might require assistance from the International Monetary Fund. The tariff proposal by the United States likely makes difficult policy choices politically less palatable for Turkey’s government. The current crisis began in large part because of the monetary policy decisions of the Turkish government. But the crisis just became significantly worse because of the trade decisions made by the US government. Yet Turkey is an important member of the North Atlantic Treaty Organization. It has been a longstanding ally of the United States, hosting key US military facilities that play a role in US relations with Russia and the Middle East. Thus, the serious worsening of relations between the two has more than economic significance. And the worsening of Turkey’s economic situation sets the stage for a potential serious economic crisis, for potential social unrest in Turkey, and for potential problems with European banks. Indeed, the European Central Bank has expressed concern about the exposure of some European banks to Turkey,49 especially as the lira is plummeting. Roughly US$80 billion is owed to Spanish banks, US$40 billion to French banks, and US$20 billion to Italian banks. Non-performing loans are currently only about 3 percent of Turkish bank loans, but ratings agencies have indicated concern that this could grow considerably and quickly. Foreign currency loans represent about 40 percent of Turkish banking assets. The Japanese economy rebounded in the second quarter after having contracted in the first quarter. The government reports that real (inflation-adjusted) GDP increased at an annualized rate of 1.9 percent from the first to the second quarter.50 This follows a contraction of 0.9 percent in the first quarter. Second quarter growth was the fastest since the third quarter of 2017. Real consumer spending grew at an annual rate of 2.8 percent, while investment in housing fell at a rate of 10.3 percent. Investment by business was up at a very strong rate of 5.2 percent. Exports were up at a modest rate of 0.8 percent, while imports grew at a strong rate of 3.9 percent. Thus, it appears that, at least for the second quarter, Japanese growth has shifted away from an emphasis on exports and toward an emphasis on domestic demand. This is precisely what the government has been hoping to see. Moreover, this is welcome given that there could be considerable risk to the global trading system due to the burgeoning trade war between the United States and China, both important trading partners for Japan. The revival of consumer spending is likely due to the tightness of the labor market and the positive impact this has on household income. Indeed, household income was up 4.4 percent in June versus a year earlier, the strongest such growth since July 2015. In addition, real (inflation-adjusted) wages were up 2.8 percent in June versus a year earlier, the fastest such growth since 1997.51 Thus, it appears that the tight labor market is finally boosting household spending power. In addition, the rise in labor costs has likely compelled businesses to invest in labor-saving technology, thus boosting capital spending. Also, the upcoming Olympics has probably contributed to a rebound in investment spending. Inflation in the United States is accelerating. In July, consumer prices were up 2.9 percent from a year earlier,52 the same as in June and the highest rate of headline inflation since February 2012. Of course, the surge in inflation is partly due to the sharp rise in energy prices over the past year. Indeed, gasoline prices were up 25.4 percent in July versus a year earlier. Still, even excluding energy, core inflation was up as well. Specifically, when volatile food and energy prices are excluded, core (underlying) prices were up 2.4 percent in July from a year earlier. This was the highest rate of core inflation since September 2008 and above the Federal Reserve’s target of 2.0 percent inflation. Prices of goods barely changed, while prices of many services rose significantly. For example, prices of new automobiles were up only 0.2 percent from a year earlier, while prices of transportation services were up 4.0 percent. Meanwhile, the surge in inflation has eaten into wages. In July, average hourly earnings were up only 2.7 percent from a year earlier.53 This means that, after inflation, real average hourly earnings were actually down 0.2 percent from a year earlier. Thus, consumer spending power is not improving, boding poorly for future growth of consumer spending. At the same time, the rise in inflation will likely compel the Federal Reserve to maintain its plans to tighten monetary policy, possibly even faster than previously planned. A decision to boost the pace of interest rate normalization could have negative consequences for US credit markets. There was a modest acceleration in consumer price inflation in China in July, likely due to the impact of new tariffs on imports from the United States. In addition, the drop in the value of the renminbi might have contributed to higher inflation as well. In July, consumer prices were up 2.1 percent from a year earlier, the highest rate since March.54 When volatile food and energy prices are excluded, core prices were up 1.9 percent. Meanwhile, producer prices were up 4.6 percent in July versus a year earlier, down from 4.7 percent in the previous month. The fact that producer price inflation is running higher than consumer price inflation likely bodes well for a further acceleration in consumer prices. The US administration believes that it has the upper hand in the tariff war with China because the United States imports so much more from China than China imports from it. However, China has tools beyond tariffs on goods at its disposal. It can limit US services exports, limit the ability of US companies to operate in China, limit inbound foreign investment, and impose draconian tariffs on selected US imports. Beyond that, many analysts see the Chinese currency as a potential weapon in the trade war. Already China has allowed its currency to fall in value considerably this year. That alone offsets some of the impact of US tariffs. A falling currency boosts the competitiveness of exports, increases inflation, and increases the cost of servicing foreign currency debts. In recent years, the Chinese government has taken steps to prevent the renminbi from falling rapidly. These included the sale of foreign currency reserves as well as the imposition of capital controls. The latter was meant to stifle outbound foreign investments by wealthy Chinese. Lately, however, China’s government has allowed the currency to fall, partly by easing monetary policy in order to offset the impact of trade restrictions, but it has also taken steps to prevent an excessively rapid depreciation. For now, it appears that the Chinese regime has chosen to not yet use the renminbi as a weapon in the trade war. In an effort to further reduce the volume of corporate debt, China’s government is taking steps to encourage more debt for equity swaps. Specifically, it is once again offering targeted reductions in commercial banks’ required reserve ratios, meant to encourage such swaps.55 It had already reduced the required reserve ratio in June. The ratio of corporate debt to gross domestic product fell in 2017 to 159 percent, the first annual decline since 2011. The sharp rise in such debt in previous years had been the result of state-owned enterprises borrowing heavily, mainly from state-owned banks, to invest in new capacity. China’s level of corporate debt is unusually high for an emerging market and is seen as a potential risk to financial stability. The economy of the 19-member Eurozone has decelerated. The European Union (EU) reports that, in the second quarter, real gross domestic product (GDP) was up 2.1 percent versus a year earlier, the slowest rate of expansion since the first quarter of 2017.56 Real GDP was up only 0.3 percent from the first to the second quarter, the slowest quarterly increase since the second quarter of 2016. The economy had grown strongly in 2017, but is likely slowing in 2018. It is not yet clear why, as the EU has not yet released details of second-quarter growth. Still, there could be several possible explanations. First, higher energy costs have eaten into consumer discretionary income. Second, the rise in the value of the euro during 2017 likely had a negative impact on export growth this year. Third, concerns about potential trade tensions with the United States may have had a chilling effect on business investment. Also, Spain reported a significant slowdown in growth in the second quarter.57 The Spanish economy has been one of the stars of the Eurozone in recent years. In part, this resulted from high unemployment and the ability to grow rapidly by bringing the unemployed back into the labor force. Growth has been in the neighborhood of 3.0 percent for some time. In the second quarter, however, the economy was up only 2.7 percent versus a year earlier—still strong, but a deceleration nonetheless. Despite the slowing of economic growth in the Eurozone, inflation continues to accelerate. In July, consumer prices were up 2.1 percent from a year earlier, the fastest rate of inflation since December 2012.58 The sharp rise in energy prices likely played a major role in boosting inflation. However, when volatile food and energy prices are excluded, core prices were up 1.1 percent in July versus a year earlier, the same as in May and the highest since September of last year. Although still well below the 2.0 percent target set by the European Central Bank (ECB), the fact that inflation is accelerating likely implies that the ECB will not back away from its determination to normalize monetary policy. It has indicated that it will maintain very low interest rates, but it intends to end its program of asset purchases (quantitative easing) by the end of the year. One factor that might drive higher inflation in the Eurozone is a tightening of the labor market. The EU reports that, in June, the unemployment rate in the 19-member Eurozone was 8.3 percent,59 the same as in the previous month and the lowest rate since December 2008. The rate varies by country. Unemployment in June was 3.4 percent in Germany, 3.9 percent in the Netherlands, 4.7 percent in Austria, and 5.1 percent in Ireland. In contrast, unemployment was 20.2 percent in Greece, 15.2 percent in Spain, 10.9 percent in Italy, and 9.2 percent in France. In the countries with low rates of unemployment, it is likely that wage pressures will grow. Yet in the countries with high rates of unemployment, this is not likely to happen anytime soon. Thus, the labor market forces that influence inflation are mixed. For the ECB, this could mean navigating a fine line between a desire to maintain low inflation and avoid a weakening economy. Recently, many investors were concerned about the potential impact of a change in policy on the part of the Bank of Japan (BOJ).68 Many investors feared that a significant shift in monetary policy could lead to much higher bond yields and a stronger yen. Indeed fears were such that yields rose enough for the BOJ to intervene in the market on three occasions to prevent the 10-year yield from rising above 0.1 percent. Instead, investors are now relieved, after the BOJ indicated that nothing much has changed. Rather, the BOJ said that it will pursue “continuous powerful monetary easing”69 and that it will keep interest rates historically low. Moreover, the BOJ said that low interest rates will be maintained “for an extended period of time.” This kind of forward guidance, common for some central banks, is new for the BOJ. The central bank’s governor, Haruhiko Kuroda, said that the BOJ’s statements “will fully counter speculation among some market participants that the bank is heading towards an early exit or an increase in rates.” The immediate response to this news was that Japanese bond yields fell while the value of the yen fell as well. The BOJ has maintained an unusually aggressive monetary policy for several years. This has involved negative interest rates and massive asset purchases—so much so that the BOJ’s balance sheet is now 98 percent of GDP compared to the US Federal Reserve’s balance sheet at 20 percent of GDP.70 Despite this aggressive posture, Japanese inflation remains historically low. Yet the BOJ continues to express confidence that inflation will ultimately rise to the bank’s target. It said that “the momentum toward achieving the price stability target of 2.0 percent in maintained, but is not yet sufficiently firm.”71 Japan suffers from a deflationary psychology and a declining population, both of which contribute to very low inflation. The establishment survey shows that 157,000 jobs were created in July.72 This was the slowest pace of job creation since March, but was still considerably more than is needed to absorb new entrants into the labor force. In addition, the government upwardly revised its estimate of job growth for both May and June. Thus, in the past three months, job growth has been extremely strong. Especially notable has been the rapid pace of job growth in the manufacturing sector, which added 93,000 jobs in the past three months, including 37,000 in July alone. There was also strong growth in construction despite weakness in the housing market. It is likely that construction employment was driven by the energy sector. In the services sector, there continued to be strong job growth for professional services and health care. In contrast, there was a decline in employment in the financial services, utilities, transportation, and government sectors. Finally, the survey found that average hourly earnings were up 2.7 percent from a year earlier. This is a modest pace, only slightly ahead of inflation. Thus, despite a tight labor market, workers are not yet experiencing a sizable increase in purchasing power. However, the fact that wage growth has accelerated is significant and could play a role in Federal Reserve deliberations. The separate survey of households indicates that employment rose faster than the labor force, thus bringing the unemployment rate down from 4.0 percent in June to 3.9 percent in July.73 The participation rate remained unchanged. Overall, this report suggests that the third quarter began with some deceleration in economic activity after very rapid growth in the second quarter. It affirms the current gradual tightening path of the Federal Reserve, which will likely involve further rate hikes in the months ahead. 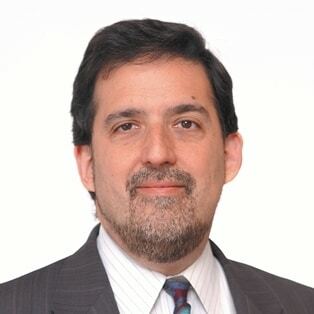 Dr. Ira Kalish is Deloitte's chief global economist and is based in Los Angeles, California.